10. No more day job/homework/housework. We no longer have to put up with the daily grind. Yay! Downside – well, there’s no power and no food, so really, aside from trying to live from day to day, there isn’t really time for much else. 8. You no longer complain about being bored – Hey, your neighbourhood is a war zone! You no longer need to watch spy shows on TV or play video games to get an adrenaline buzz, you now get it every time you leave the house. Downside – people now may complain about being stressed. 7. You no longer stress about the things you used to stress about – Because you have a whole new set of things to stress about! Food, safety, shelter, transportation to the hilly wilderness (or do you hunker at home? ), that nasty bite aunt Hilda seems to be sporting…Downside – probably that nasty bite aunt Hilda is sporting. 3. The planet is saved! No more energy will need to go into reducing pollution because society as we know it has stopped large scale production of things. Factories no longer have the man power available to run them so the remaining society members are forced to use what we have, fix what’s broken and find innovative new ways to use the junk we already have. 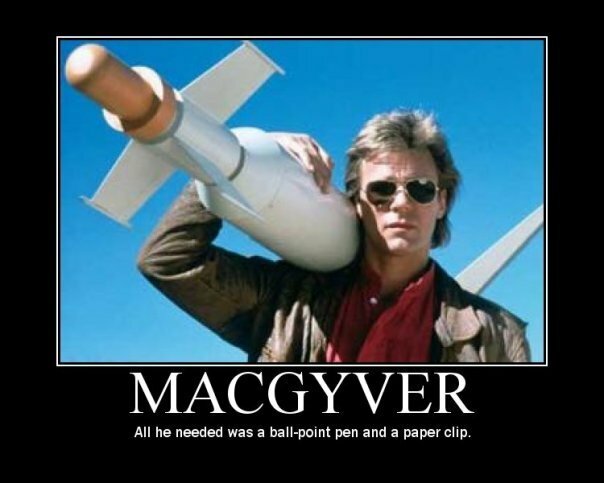 Downside – Duct tape, solar panels and MacGyver DVD sets may now be worth more than gold. 1. No more rude people texting/playing games/having conversations on their phones when they are supposed to be hanging out with you – Wait…Am I the only person who still has a beef with this? Oh…Downside – you no longer have an escape of texting/playing games/having conversations on your phones when hanging out with me. Mwahahahaha!